“Time and tide wait for no man,” wrote Geoffrey Chaucer. Time ran out for my father, Wilfred Woods, Saturday night after 97-plus remarkable years of life, love, achievement and contribution. He embraced death as he embraced life — wholeheartedly, without reservation or fear. The enduring image I have of him striding briskly from our office in downtown Wenatchee, past the Numerica Performing Arts Center that he loved so well, to our production building on Ninth Street to get his daily newspaper hot off the press. It was a daily regimen until his health started declining a few years ago. His nine-plus decades of life serve as a model for how a human being can live in this world and leave it a better place. What he experienced and accomplished was astonishing. He was a voracious reader who soaked up knowledge and synthesized it so that anyone could understand complex subjects. 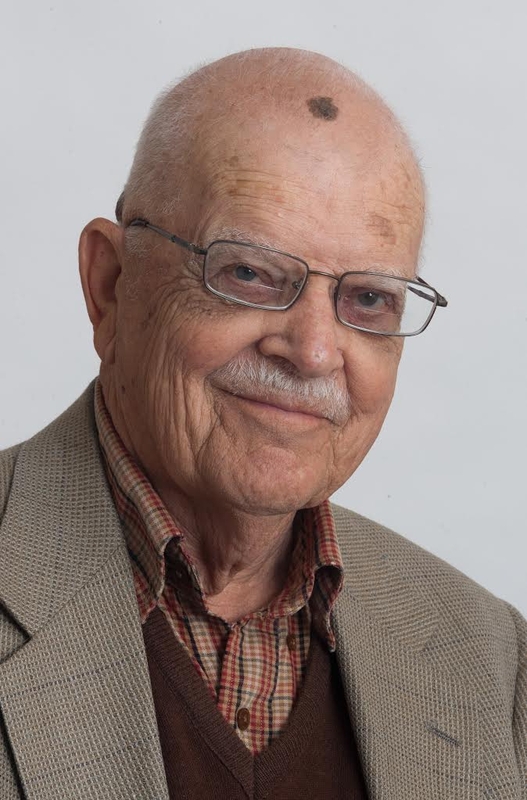 He was a world traveler who was near Tiananmen Square when violence erupted in 1989, witnessed the Berlin Airlift after World War II, and visited dozens of countries and invited Wenatchee World readers along to share in the experience. With my mother Kathleen, they left an indelible mark on the music and arts scene in North Central Washington, going to countless concerts, recitals and providing financial support numerous organizations. Dad was a devoted skier and outdoorsman who thrilled at the opportunity to take folks into the backcountry to experience the grandeur of the Cascades and the fellowship of good company. As a columnist for more than half a century, he was a master of saying much in few words about the numerous topics that interested him. He always left his readers wanting more. 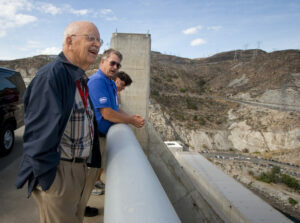 He was a man of enormous generosity to his family, his friends and the community. He was a devoted father, husband and grandfather. Everything he did was in service to others — an example of civic leadership and generosity that encouraged others to make sacrifices for the greater good. He walked the talk and fostered a culture of contribution that lives on. World photo editor Don Seabrook put it best when he wrote that dad loved everyone and everyone loved dad. Dad cared about people as human beings and was always more interested in what they had to say than imparting his own wisdom. In every aspect of his life, he was interested not in reliving the past but in discovering “what’s next,” a wonderful life practice that could benefit any person who chooses to adopt that mindset. In his 80s, he took cross-country skate skiing lessons, a sport that requires tremendous balance and agility. Just last winter, he wanted me to take him skiing again but his balance made that impossible. Perhaps the best way to describe his approach to life is the phrase “damn the torpedoes, full speed ahead.” Seemingly insurmountable obstacles to others were just minor challenges to dad. Those of us who remain are basking in the afterglow of his ascendant spirit. With the passing of Wilfred Woods, it is the end of an era. We were indeed fortunate to bear witness to this blazing comet as it illuminated our sky. Now, it’s up to us to pick up where he left off and march confidently into the future with that same sense of optimism, hope, determination, fearlessness and community purpose. Our family is grateful to Dr. Fred and Ann Deal for their steadfast support and help in dad’s final days. Our families have been connected for seven decades. We are also grateful to the hospice staff for the tender, caring support in his final days. Dad loved parties, and so we’ll plan a community celebration in his honor and invite everyone to stop by and share in the festivities. This was truly a life to celebrate. Wilfred Woods, Chairman of the Board, Wenatchee World in 2011. 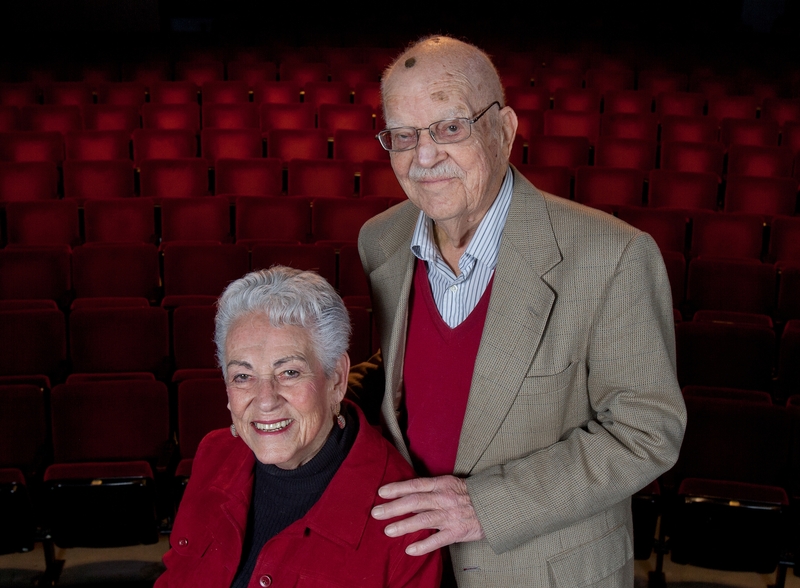 Kathy and Wilfred Woods, active in running The Wenatchee World for more than 60 years, receive the third annual Legacy Award in March 2014. The lifetime-achievement honor, sponsored by the Wenatchee Valley Business World and the Wenatchee Valley Chamber of Commerce, was presented at the ChamberÕs annual banquet. Wilfred Woods leads a tour of Grand Coulee Dam in 2009.